Jethi community has been known for its wrestling business or better known as ‘Pehelwani’ since the city was under the regime of kings and queens. There are still many ‘Akhada’ in the city belonging to the Jethi community such as the one at Chandpole and Gangaur Ghat. But it looked like, that wasn’t something which Jamnalal had decided for himself. 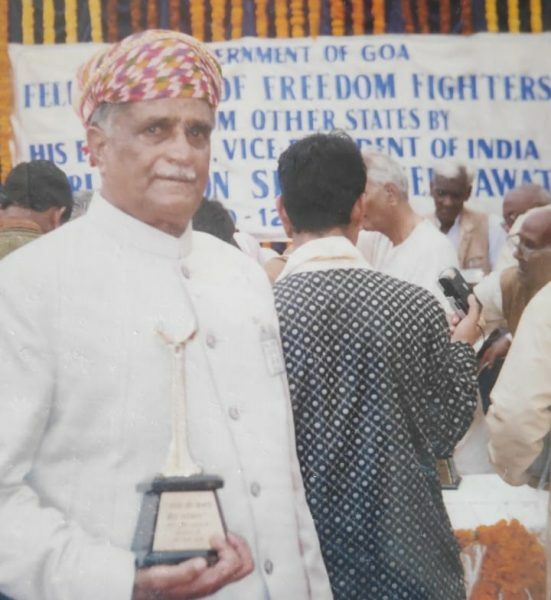 Jamnalal Jethi was born in the year 1932 in Udaipur. Many people back then wanted a secured life and a safe future but Jamnalal had something else in his mind. Being born in a slave country, he always wanted to do something for his country. At a very young age, he became a part of the RSS (Rashtriya Swayamsevak Sangh). 1947 was the year of independence for India but Goa was still seized by the Portuguese. This was the time when Jamnalal’s brother gave him a tea stall and suggested to earn his livelihood by the same. But the fire of independence and the feeling of patriotism made him sell this stall and with the little amount he got from it, he left for Goa in the year 1950 without informing anyone in his family and leaving his wife and 3 children behind. As a matter of fact, he was a mere 23-year-old boy when he took this crucial decision of his life. 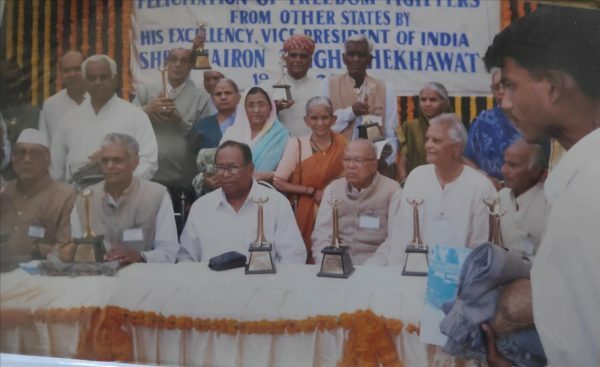 He was the only one from Udaipur who participated in the Goa Liberation Movement. There were numerous challenges and hardships awaiting him there. The rage rose up to such a level that the Portuguese started firing on all the agitators. During this while, Jamnalal also got hit by a bullet on his shoulder. While all of his co-agitators were taken to the crematorium, Jamnalal was taken to the hospital. 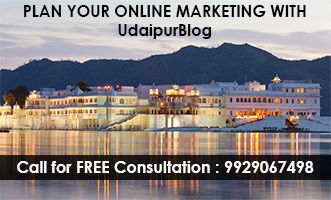 His family was completely unaware about the entire episode until he returned to Udaipur. He was welcomed by the citizens with utmost pride and honor at Jagdish Chowk. It was then that his family came to know about his whereabouts while he was missing. 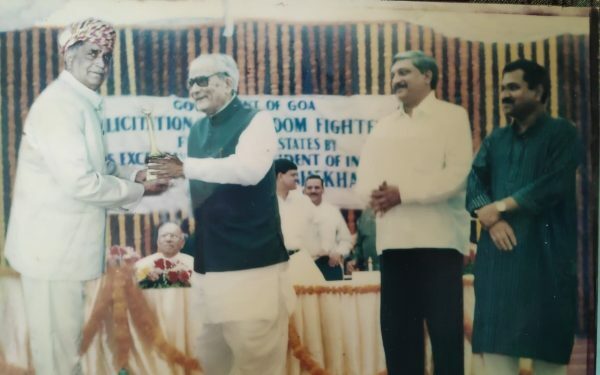 His dream got fulfilled in the year 1961 when Goa was liberated from the control of Portuguese. On his return, he joined PWD and made his own house at Chandpole. His bravery and courage were even recognized by UIT which awarded him with a piece of land in Hiranmagri as a token of respect. On 16th September 2018, 85-year-old Jamnalal Jethi passed away and his last rites were performed with state honors in which many renowned personalities including the then Home Minister Gulab Chand Kataria were present. He left behind his two sons and a daughter and several stories for his grandchildren to cherish. ‘My grandfather was such a patriot that he named me after his country’ says Bharat Jethi, his only grandson. People like Jamnalal Jethi turns out to be an inspiration to all the citizens of Udaipur. Leaving behind all the worldly pleasures, Jamnalal’s spirit and dedication to liberate his nation has been commendable.